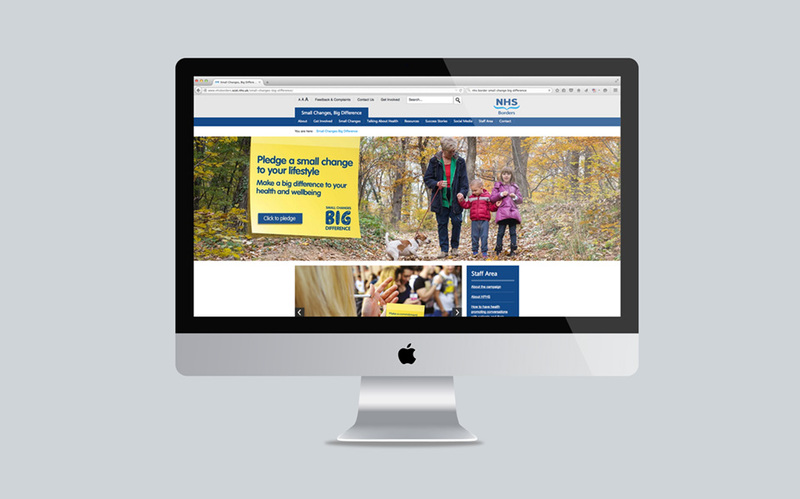 ‘Small Changes, Big Difference’ is our behaviour change campaign for NHS Borders to improve the health and wellbeing of the Scottish Borders community. The campaign embraces the idea of nudge marketing and encourages changes in personal behaviour through gentle messaging, education and the celebration of personal achievements. We have worked on this marketing campaign from its inception, developing the creative concept and leading the design of its visual identity. 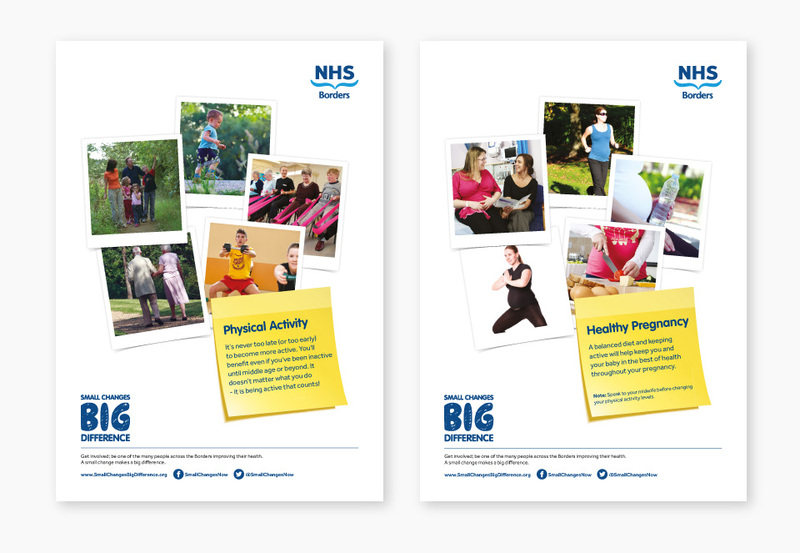 Our creative solution provided a consistent concept with the flexibility to cover a wide range of healthcare messages. Its simplicity has allowed local people to take ownership of the campaign: personal campaign pledges can be written on a post-it note and shared across social media. The campaign has been rolled out across a range of marketing channels. This includes a new campaign website, social media, leaflets and posters. 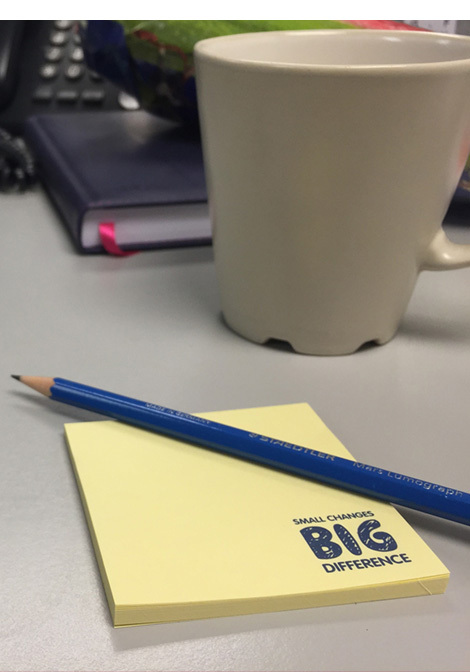 In order to further drive engagement and participation oversized post-it notes have been created for local community groups to make and share their campaign pledges. 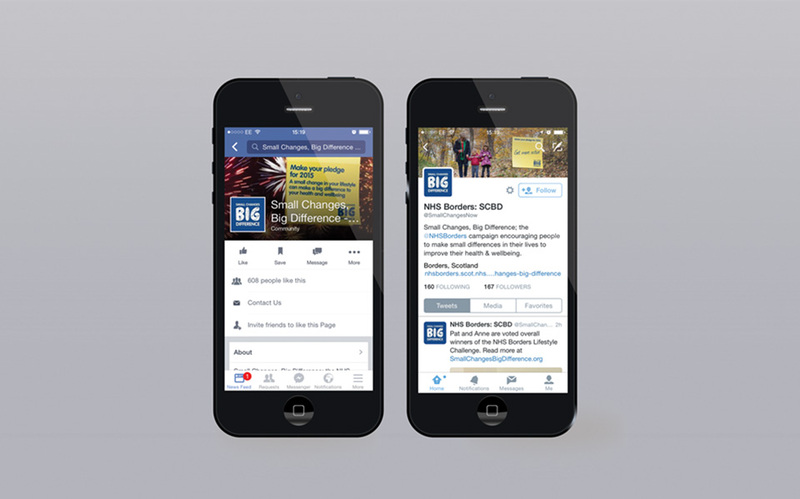 ‘Small Changes, Big Difference’ continues to grow as a campaign and our creative concept has given NHS Borders the ability to develop and extended the diverse range of health and wellbeing topics it covers over time.